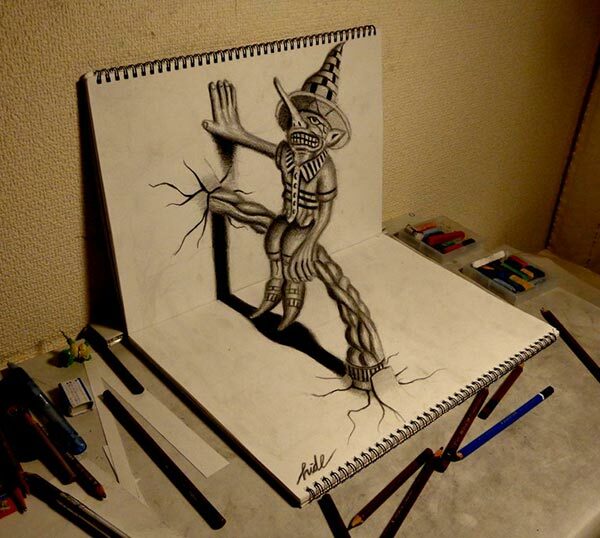 An artist cannot possibly limit to his own shell, he has to hatch from the egg of creative boundaries to create havoc in the world of art and skill. 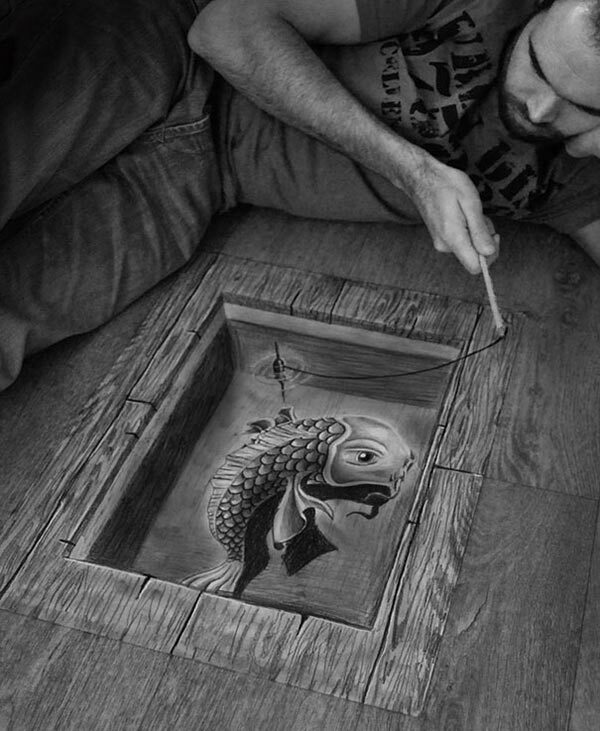 Trying hand on various techniques and practicing on the old ones not only give an artist a professional touch to his genre but also polish his ability & proficiency. 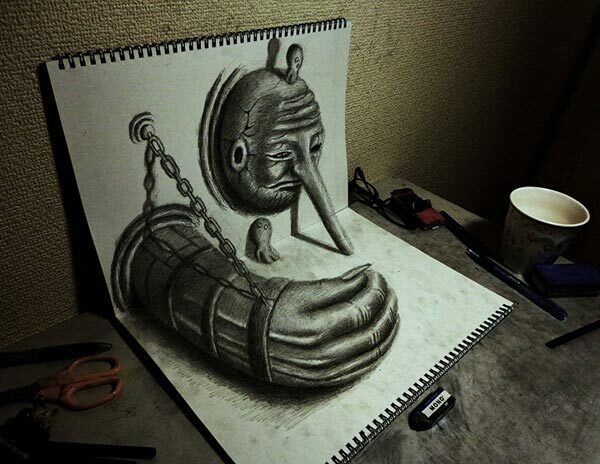 Wherever you put yourself in the cage of restricted resources, nothing even an inch closer to a masterpiece can ever come out of your hand. 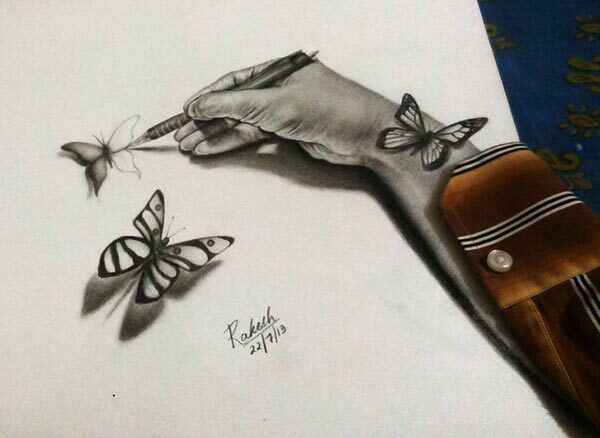 So the post itself can be a message to all the beginners who are not much skillful in the genre of drawing, they can keep practicing to become a prolific artist with relentless effort, devotion and passion of trying. 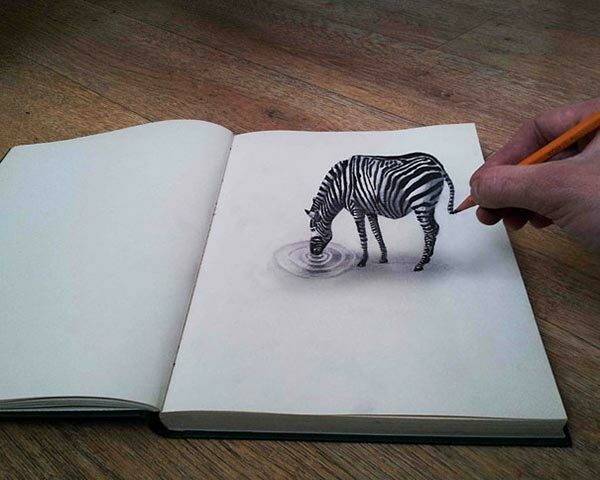 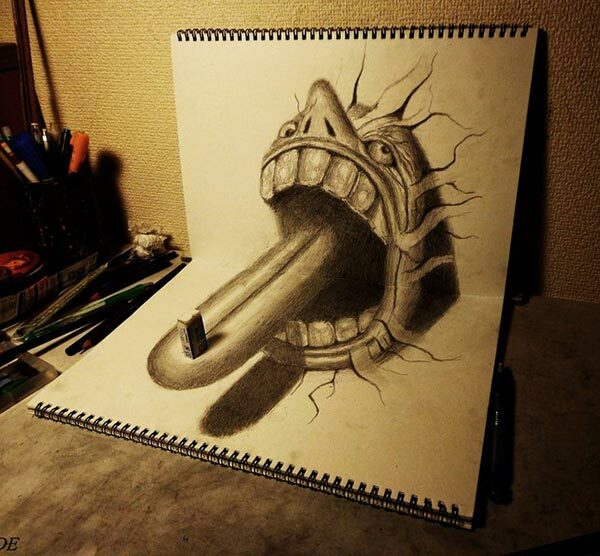 Today I am unleashing amazing collection of 3D pencil drawings. 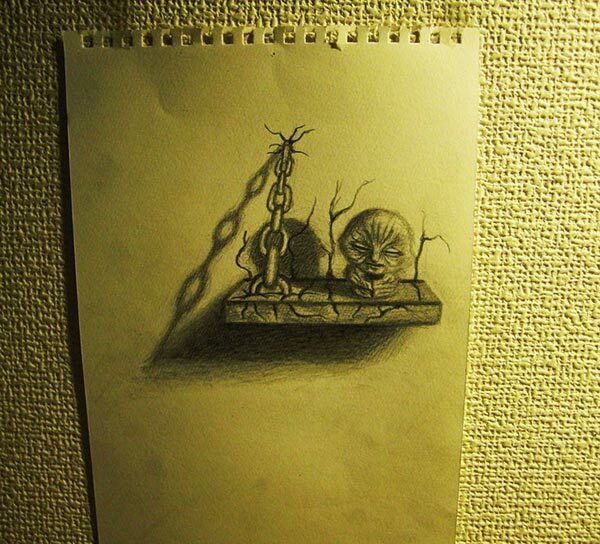 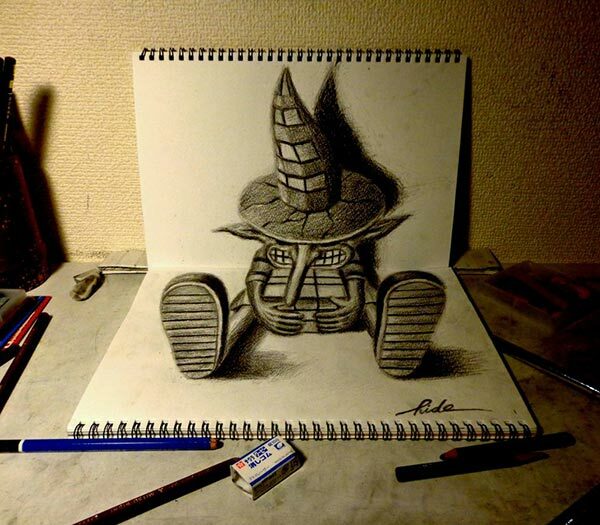 Out of the different styles of art and illustrations, one of the popular one is drawing. 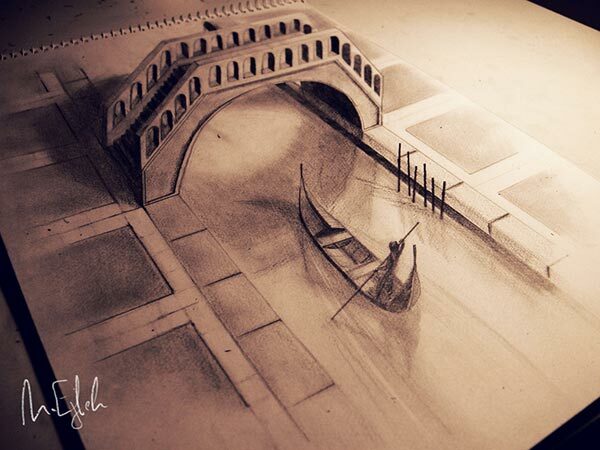 With pencil work, drawings are made in super detailed and realistic manner; it takes a great amount of practice and an absolutely prodigious amount of talent to make something superfluous & super real. 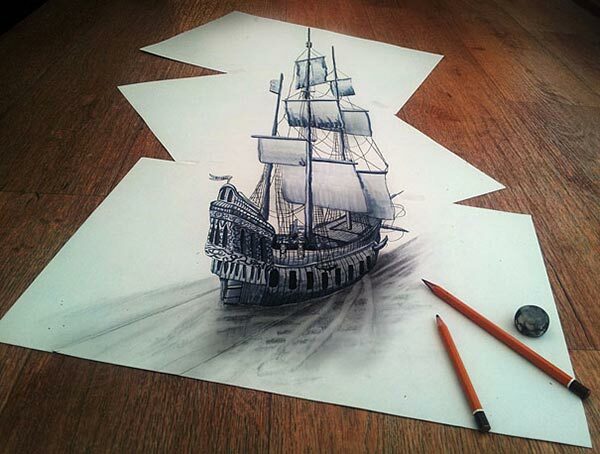 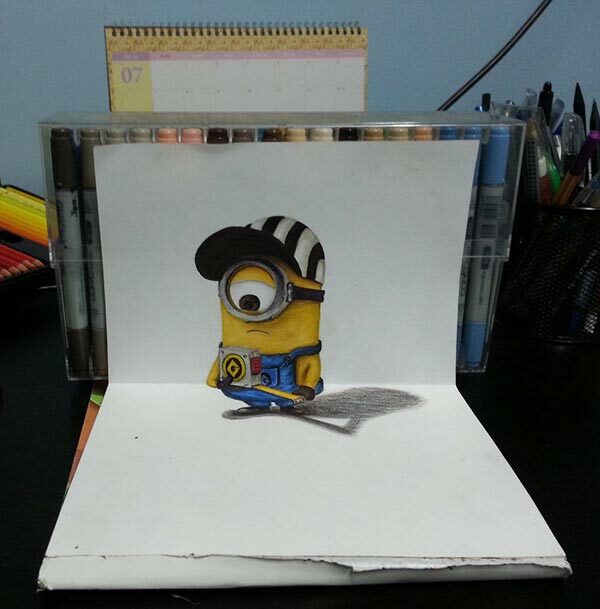 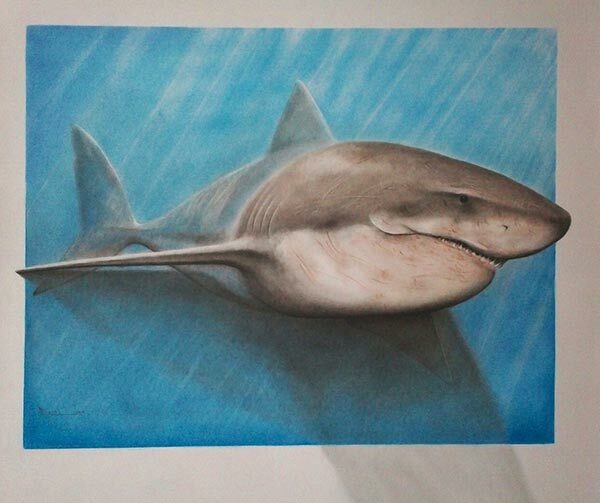 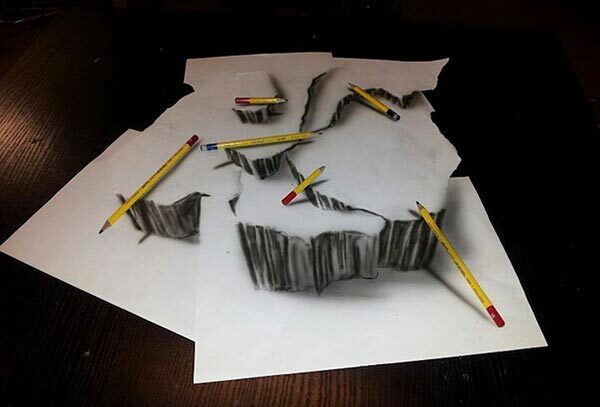 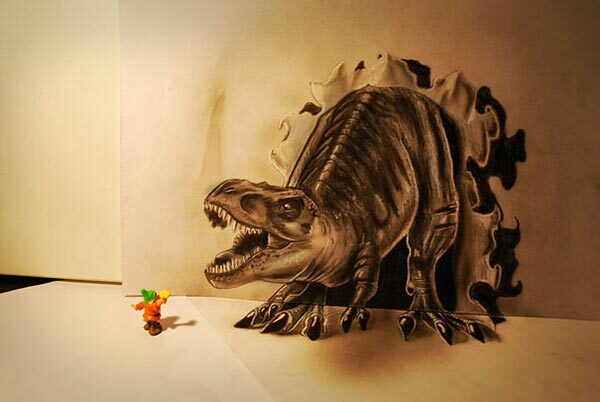 Drawing is a visual art which is drawn on the paper with various techniques; 3D drawing is actually a modern way of depicting drawings in three dimensional ways. 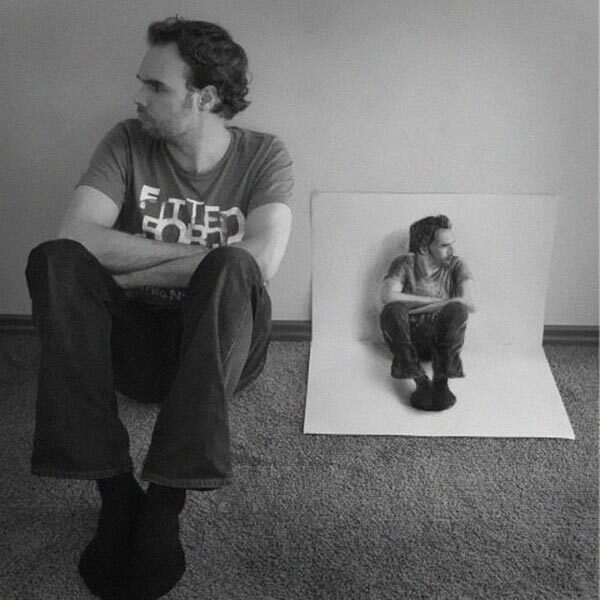 An artist keeps a notice of the silhouettes, negative space and the whole outlook considering as essentials of 3D drawings. 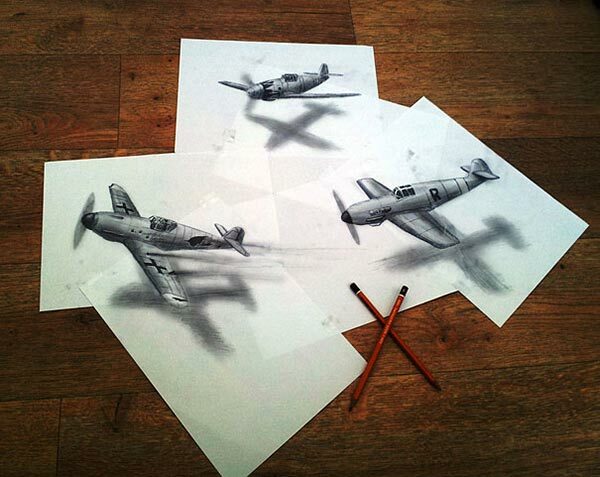 The key element in this art is actually ‘correct photograph’ from the right angle so the picture/sketch/drawing gives the illusion of 3D effect. 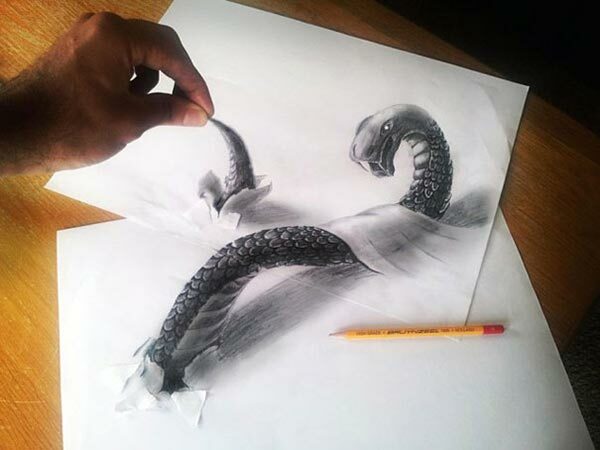 It shows the merit of the artist, his intellect, and his clever technique. 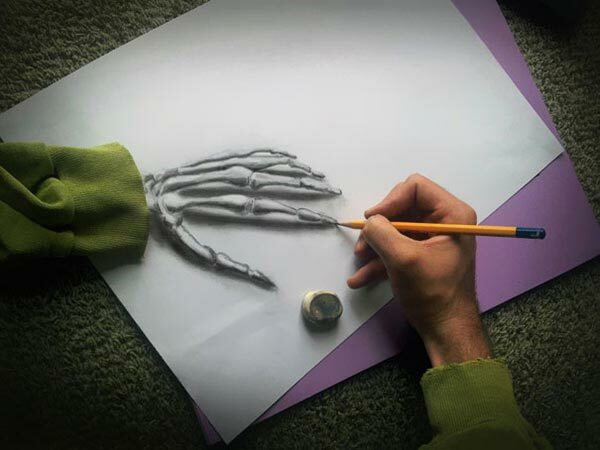 In this art medium, the tools that are usually used may vary from water paint, charcoal, oil paints, graphite and much more. 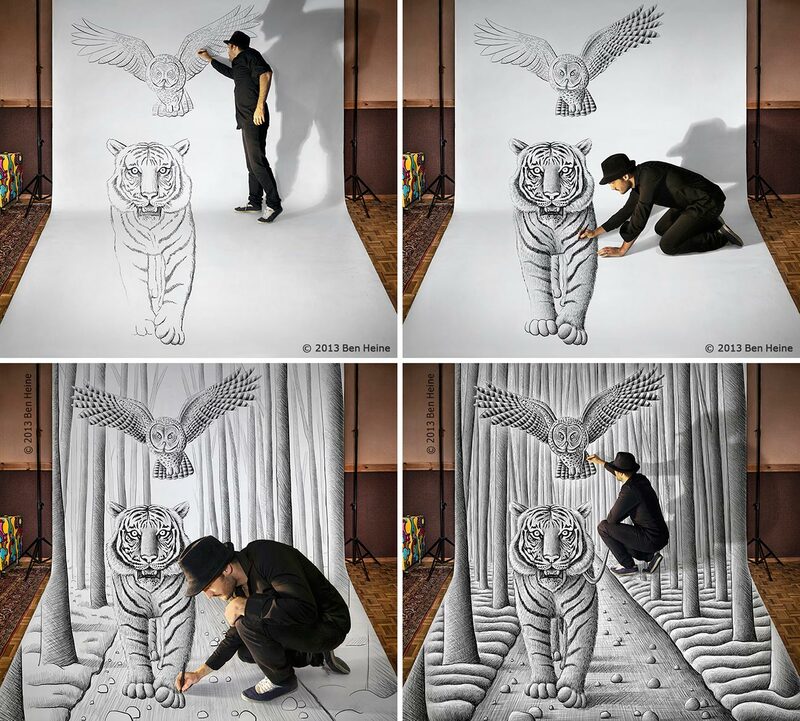 Only a passionate artist can dare do that with such a refine and magnificent techniques pushing his own boundaries. 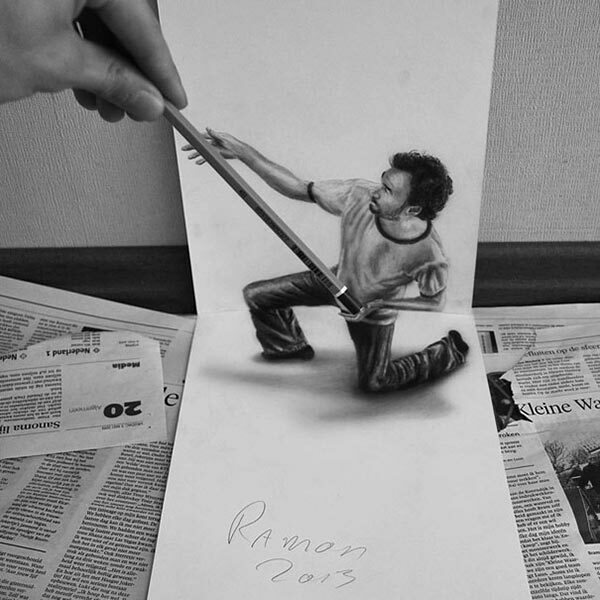 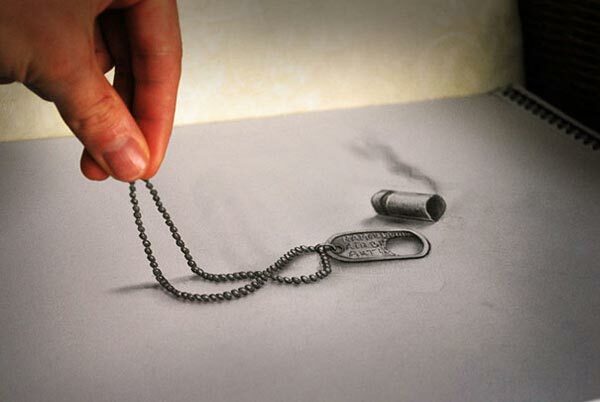 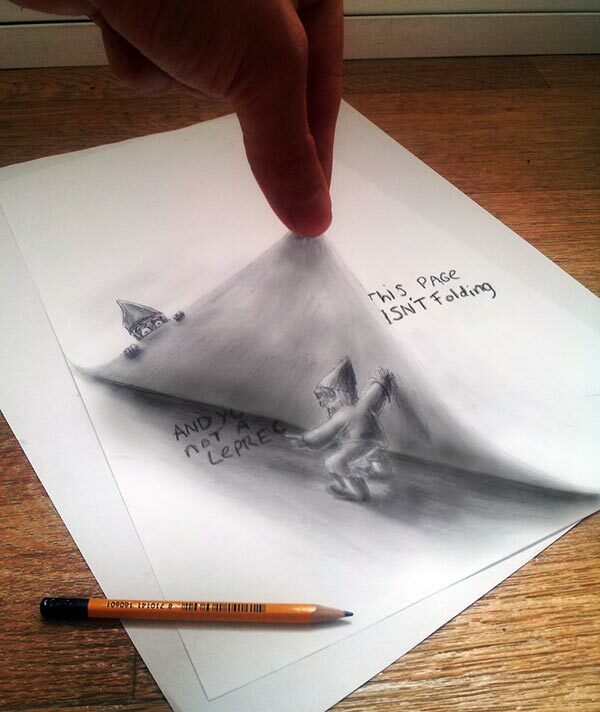 The following amazing collection of 3D pencil drawings are simply incredible, nerve whacking and nail biting the way shadows are beautifully drawn by the art of mere pencil. 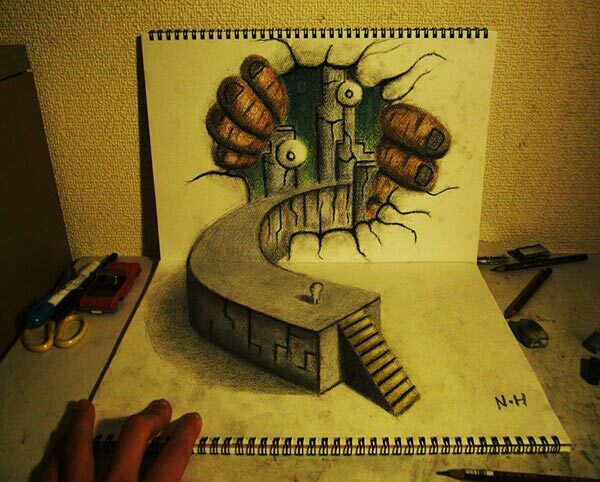 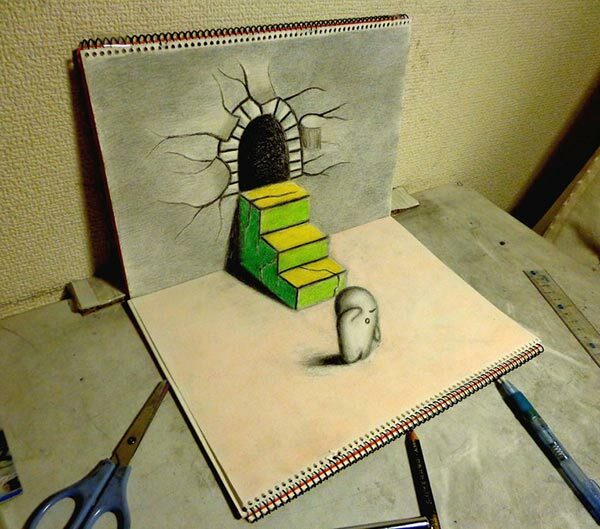 The scenic effect is overwhelming the art of 3D drawings. 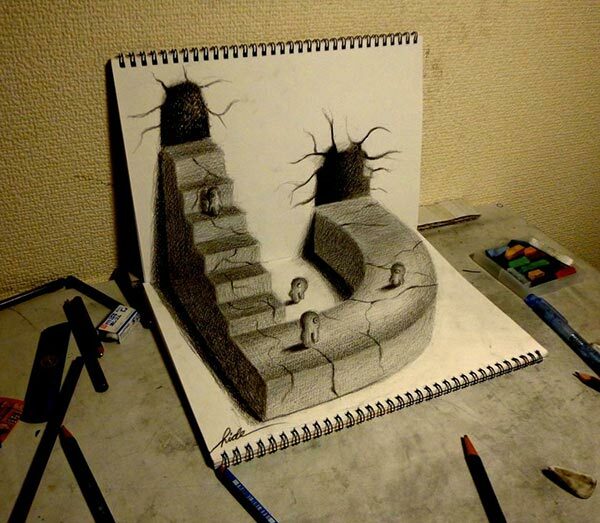 You must not overlook a single art piece down here. 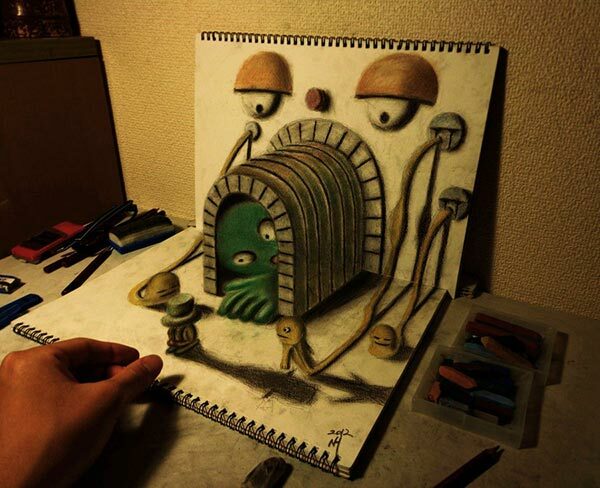 Get the gaze!